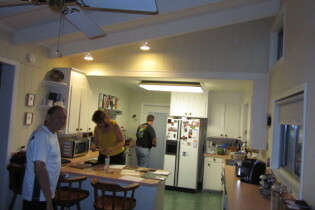 [Steve] explained and discussed with us every aspect of the restoration giving careful attention to my request to maintain the historic look of our house. 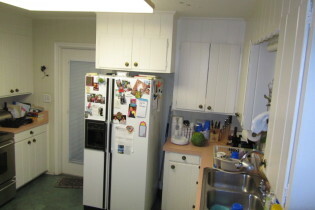 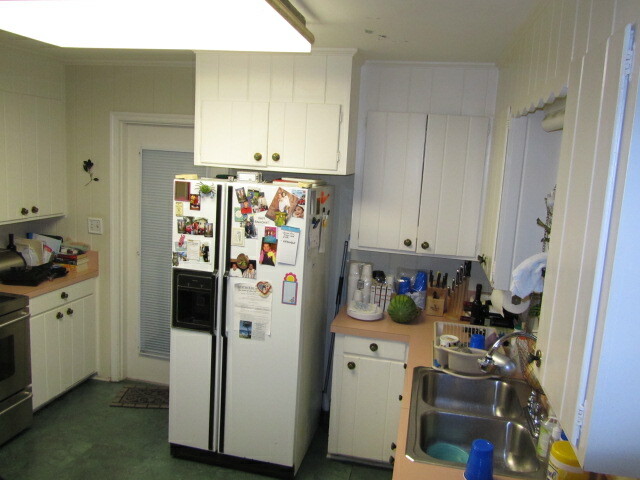 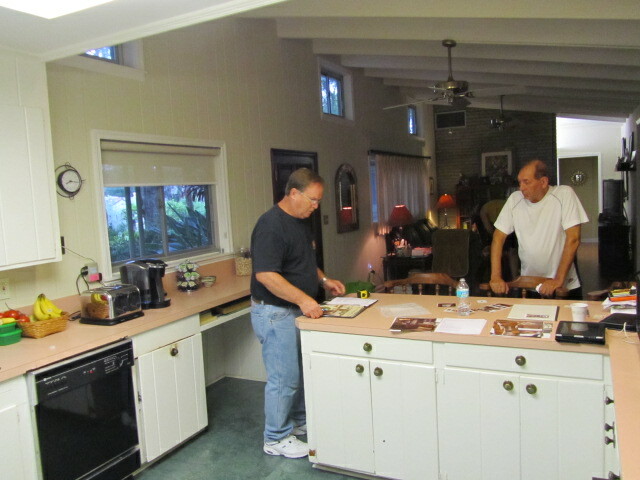 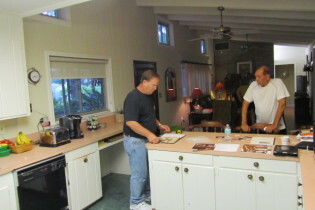 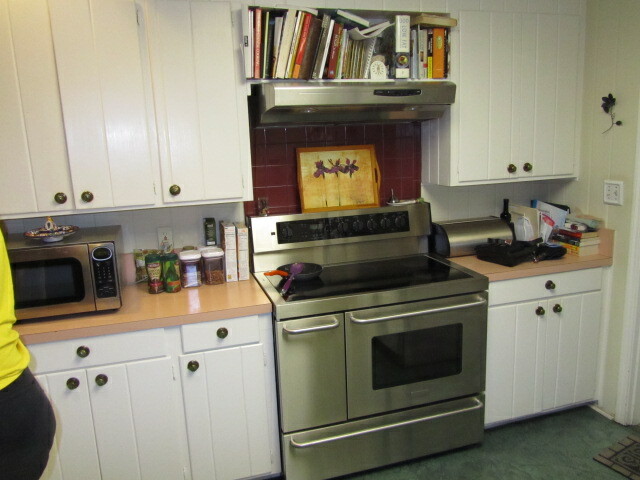 We completely transformed a 1950s kitchen in Winter Haven by installing new solid wood cabinetry and granite countertops. 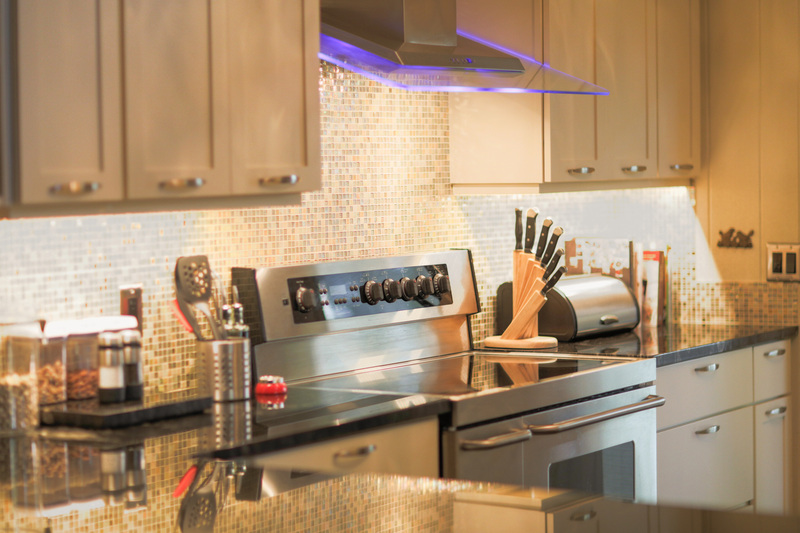 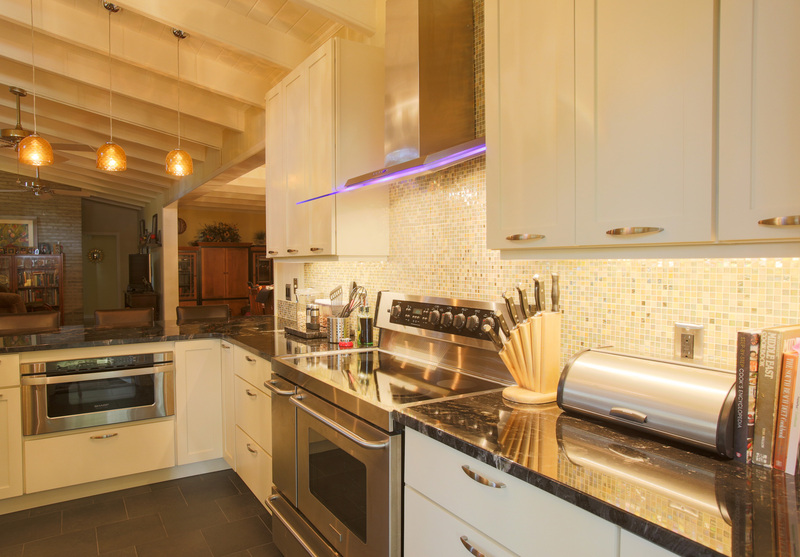 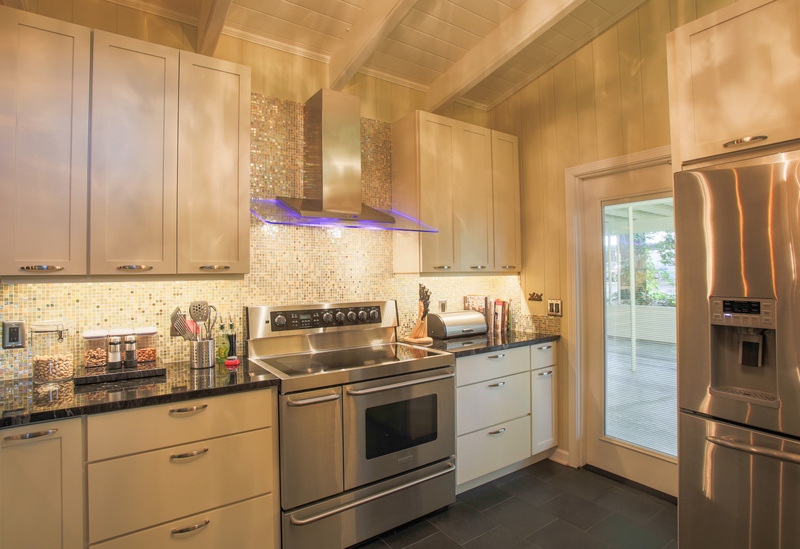 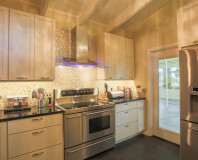 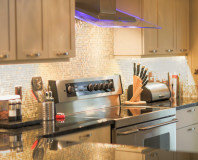 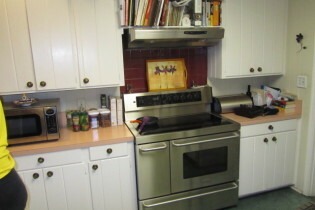 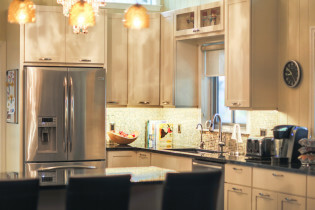 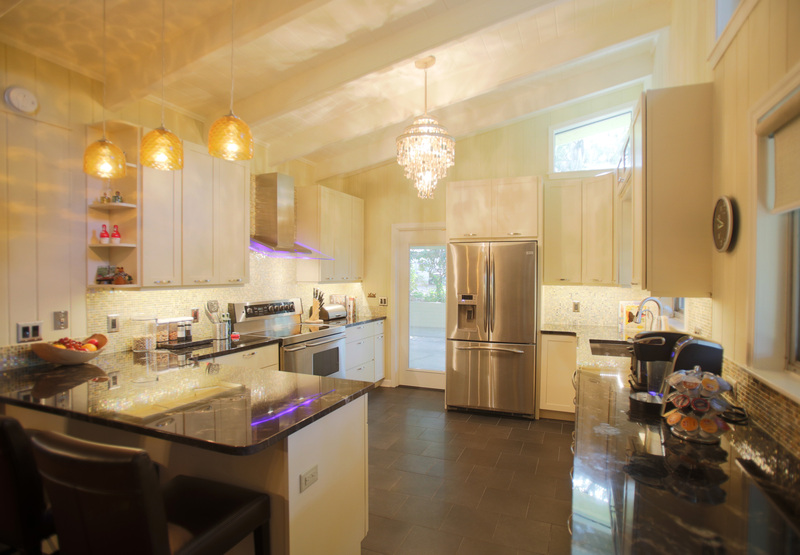 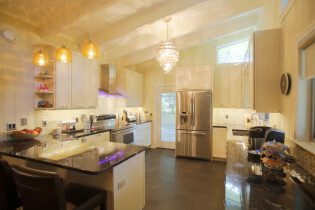 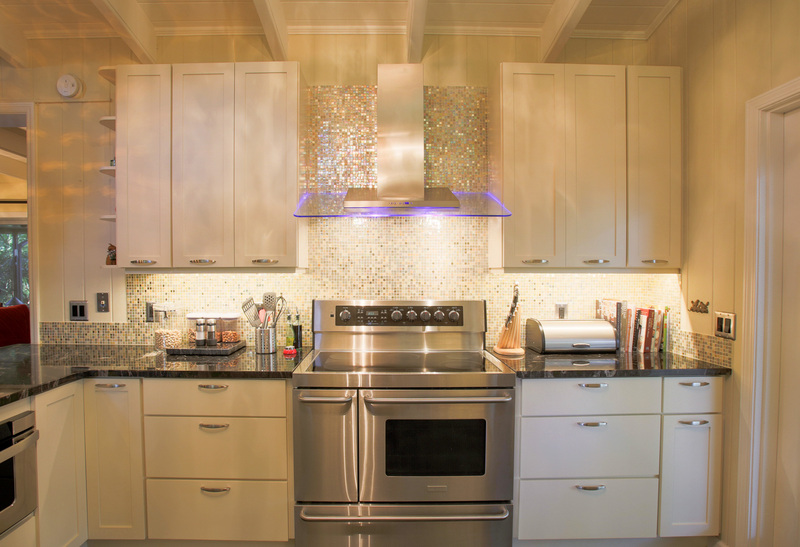 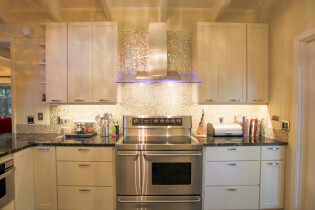 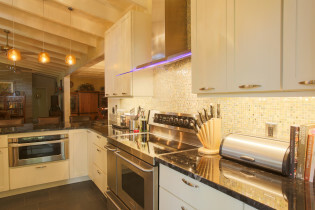 The glass tile backsplash and under-the-counter mounted kitchen sink rounded out the radical transformation. 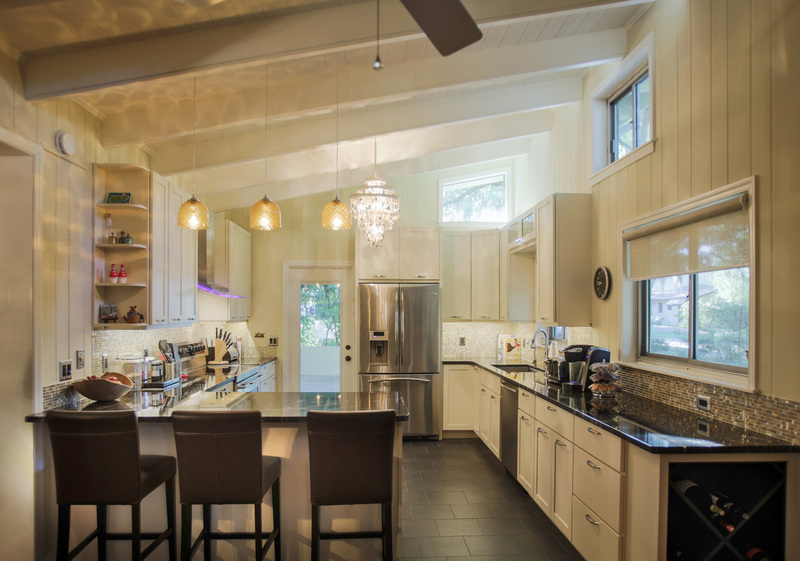 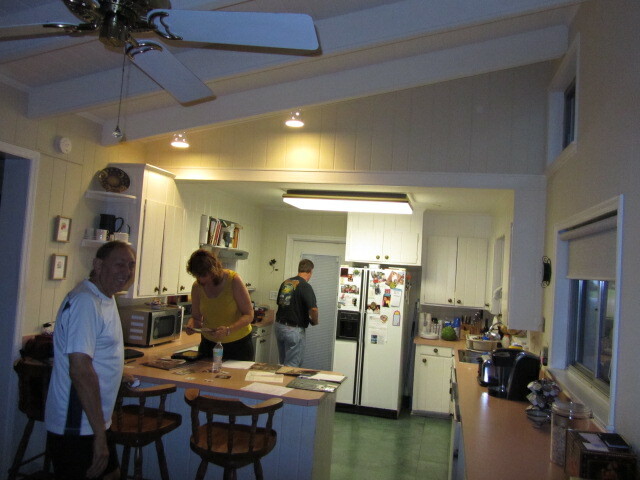 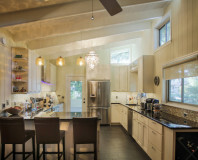 The kitchen took on a much more spacious feeling after we removed the drop ceiling, which exposed the original rafters and v-groove wood ceiling.